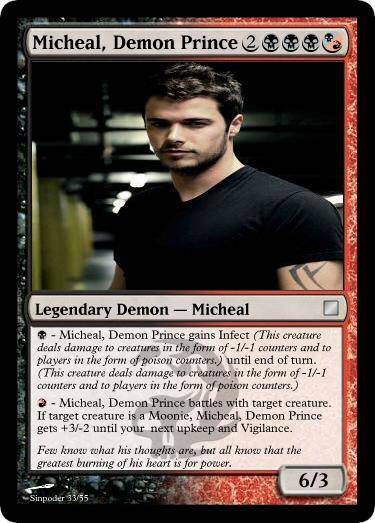 Basically, I'm going to be making people's characters into cards. 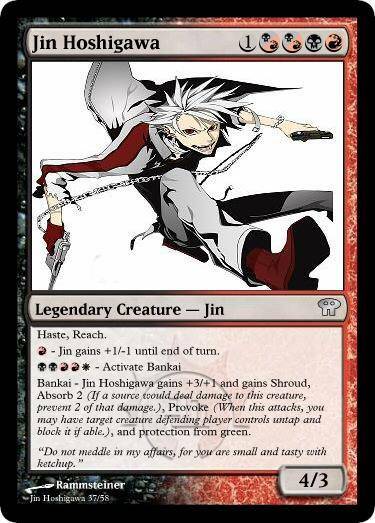 So far the only one I've made is Colin's, but I'll randomly be going into apps and start making a collection of images for characters that I will put in card form. 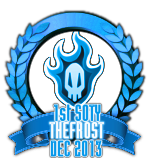 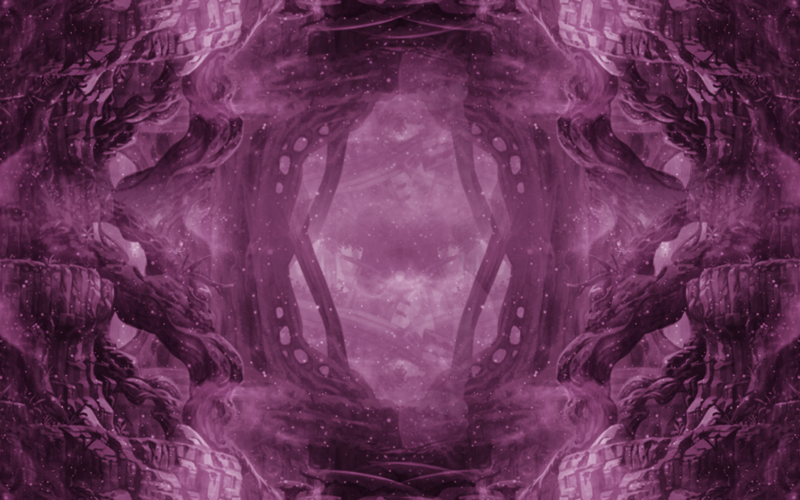 If you have any suggestions on the picture I should use for yours if you want it or info about them that should be on the card, then feel free to give it to me here! 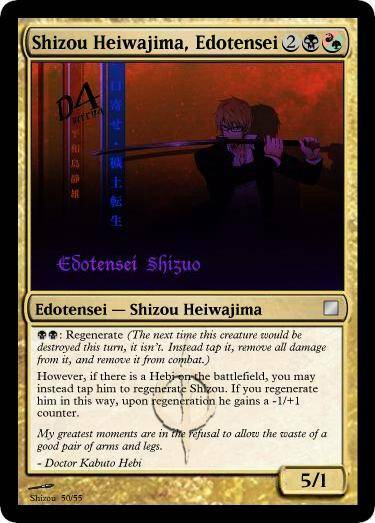 The release of Jin Hoshigawa! 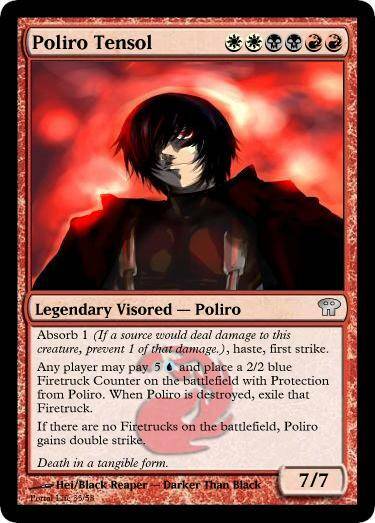 Poliro Tensol, Firetruckaphobe and excellent Vizard, Reporting. 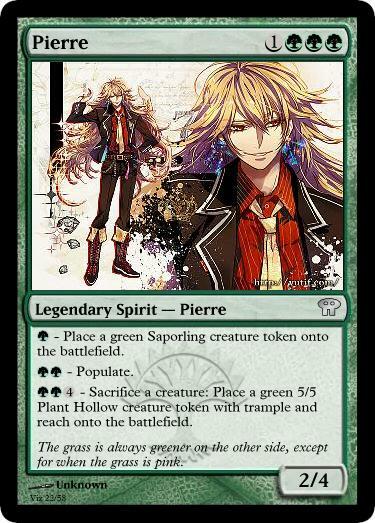 Pierre, the Vice-Leader of the Nature Irasmaha, on duty. 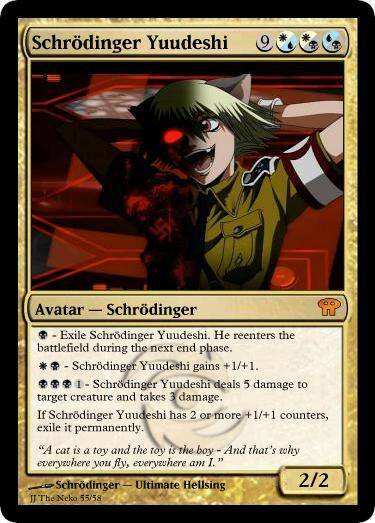 Schrödinger Yuudeshi, here... or is he? 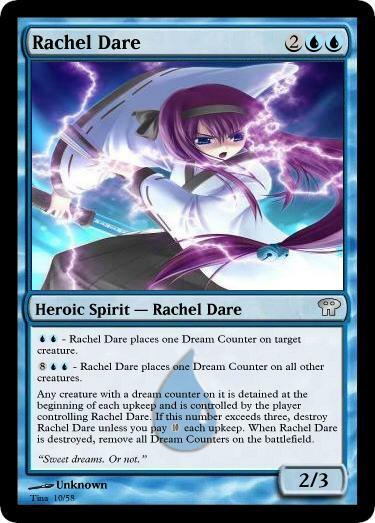 Rachel Dare, in your dreams! 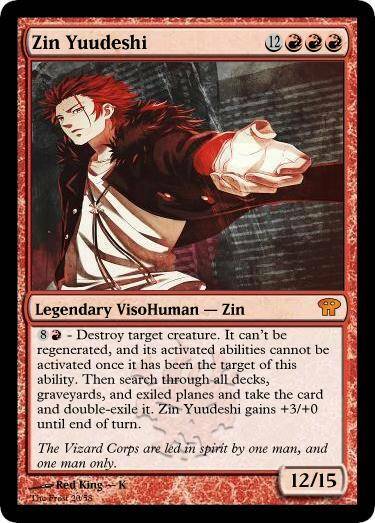 And Finally, Zin Yuudeshi, the one and only VisoHuman. 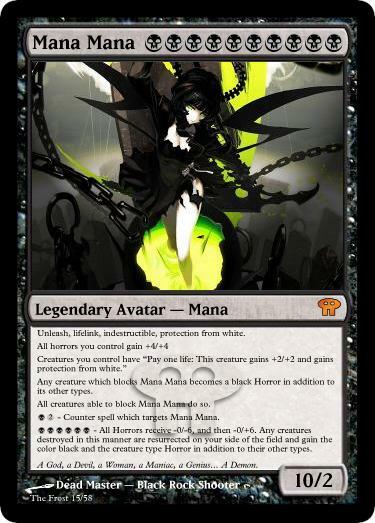 Ye have my permission to use this picture of Mana in the link above. 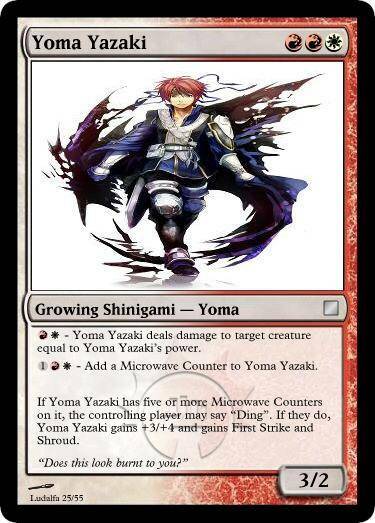 Without further ado, here's set three. 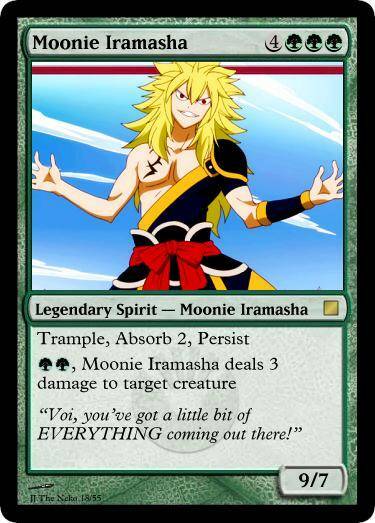 Here's the Lineup for set three! 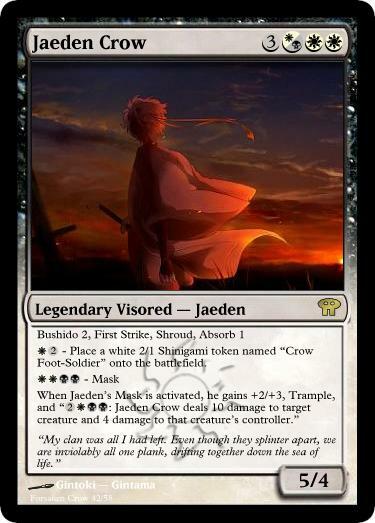 First is Jaeden Crow, alive and well! 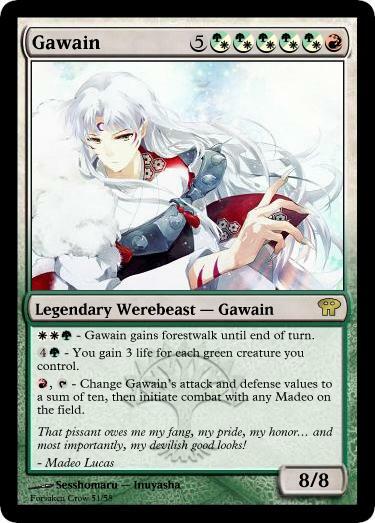 Next is Gawain, with all howls on deck! 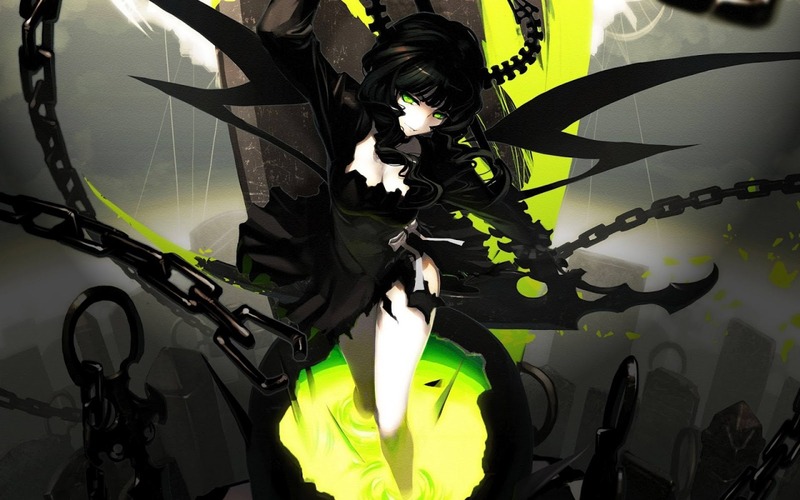 Then its Demonica, whirling around fury of feathers and steel. 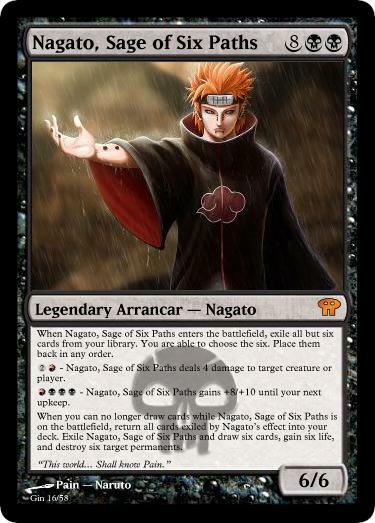 After that we have none other than Nagato, the Sage of Six Paths. 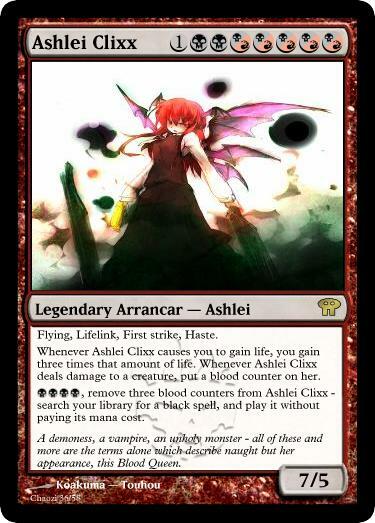 Finally, its Ashlei Clixx, the Blood Queen! 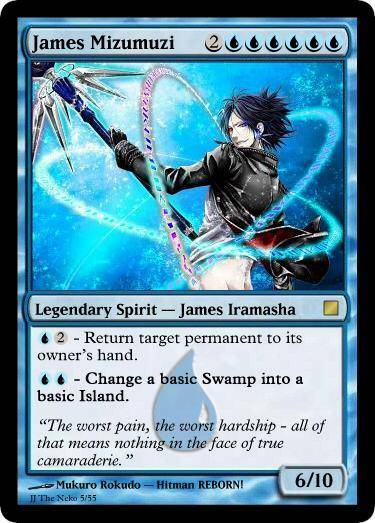 Much thanks to you, Andrew. 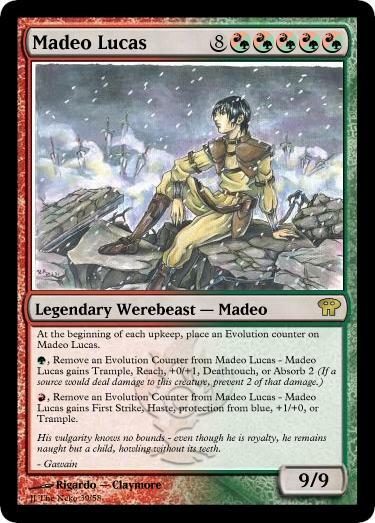 Without further ado, Set Four is released! 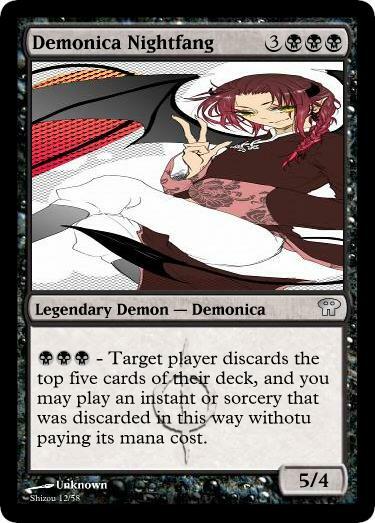 This lineup begins with none other than Mana Mana, Demon Queen! 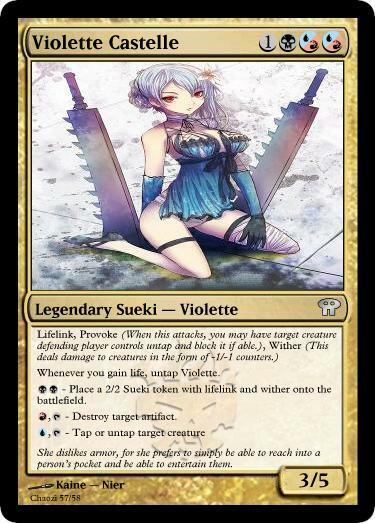 Followed quickly by Violette Castelle, Lady of the Sueki! 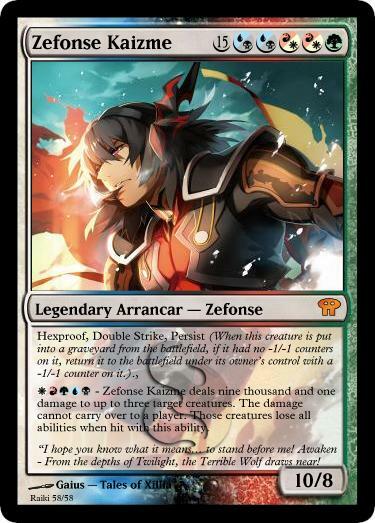 Then we have Zefonse Kaizme, a God of the Sword. 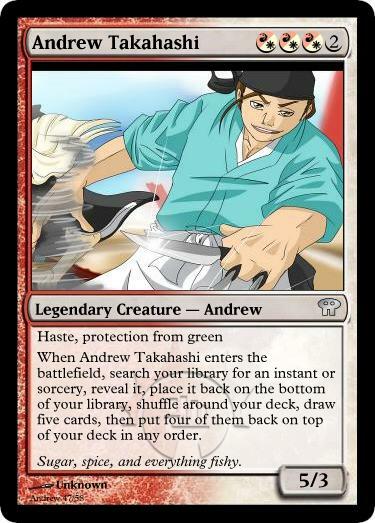 Next is Andrew Takahashi, the Master Chef Vizard! 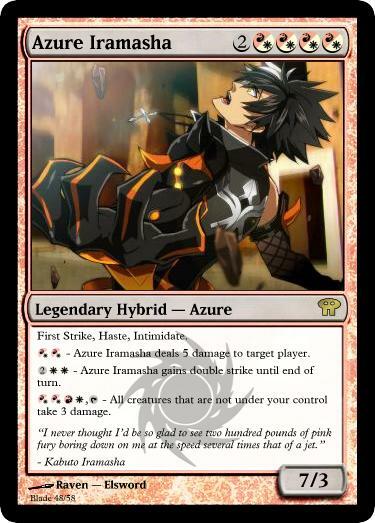 From the Iramasha Island, Azure Iramasha, the Pink Wonder! 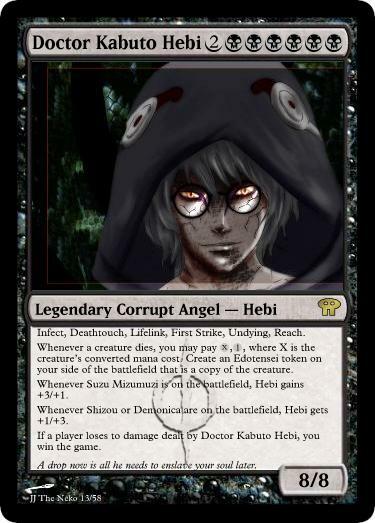 Finally, Doctor Kabuto Hebi, the Scientist Extraordinaire! 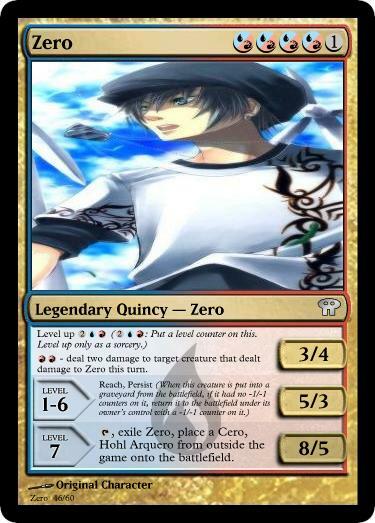 Zero, the Quincy Ziamichi premiere, arrives! 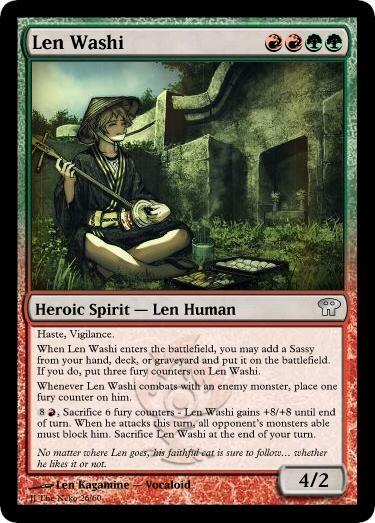 Len Washi, the Child of Will, approaches. 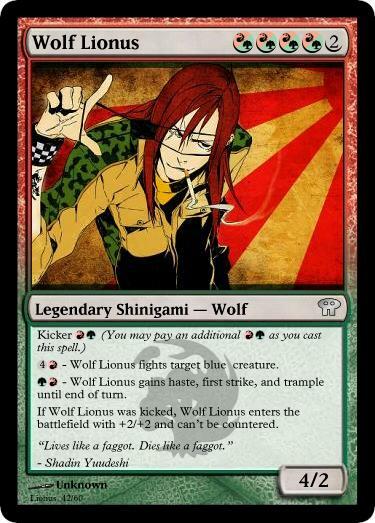 Wolf Lionus, The Bisected, appears! 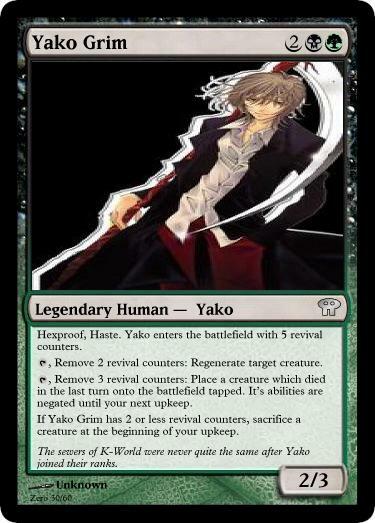 Yako Grim, the Creepiest Reaper, joins the fray! 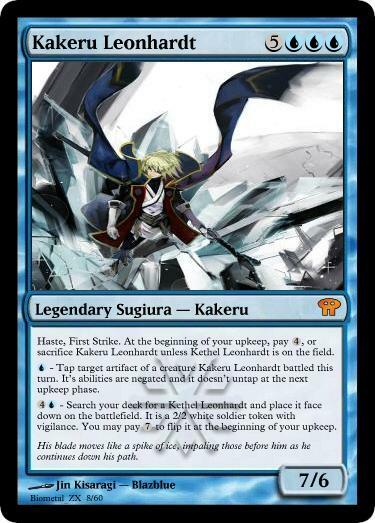 Kakeru Leonhardt, the Soldier of Snow, rises! 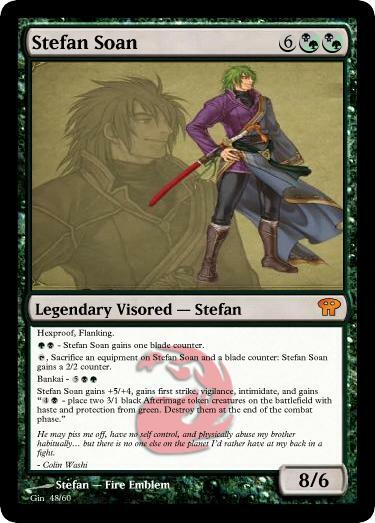 Stefan Soan, The Grand Vizard, the God of Blades, Descends! 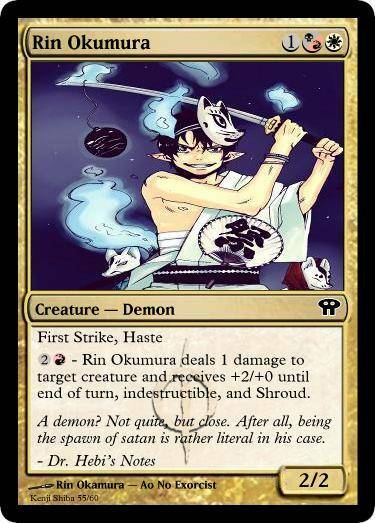 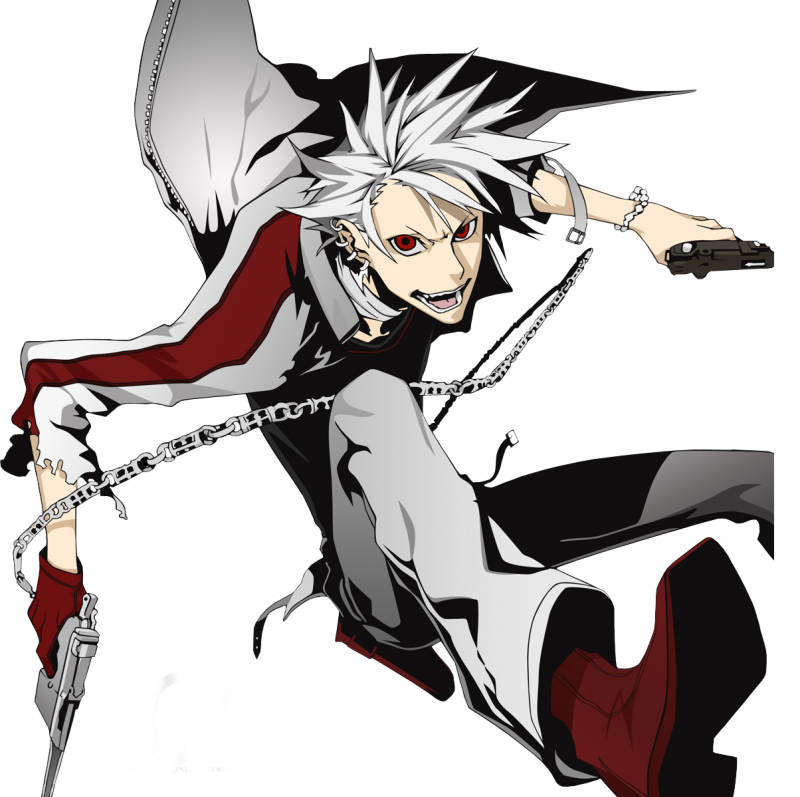 First is Rin Okumura, the Spawn of Satan! 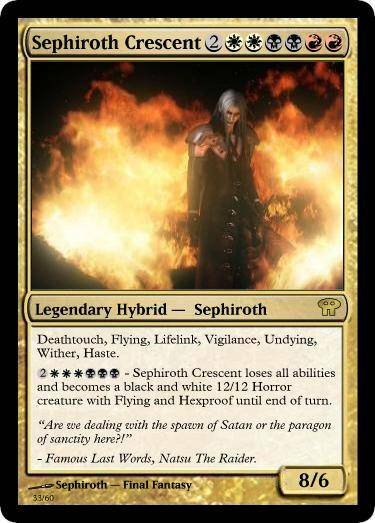 Sephiroth Crescent, the Bizzaro Blade, enters the fray! 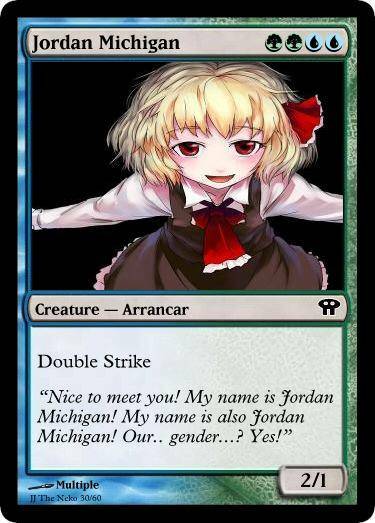 Jordan Michigan, he/she has joined the battle! 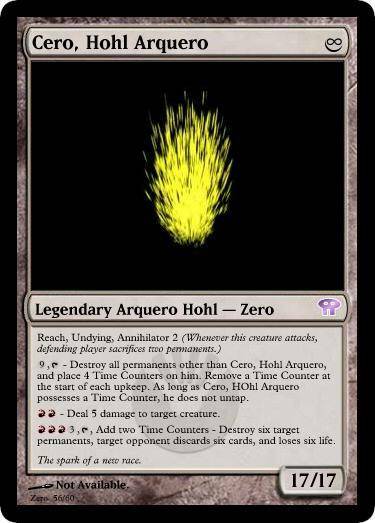 Cero, the Evolution, has entered! 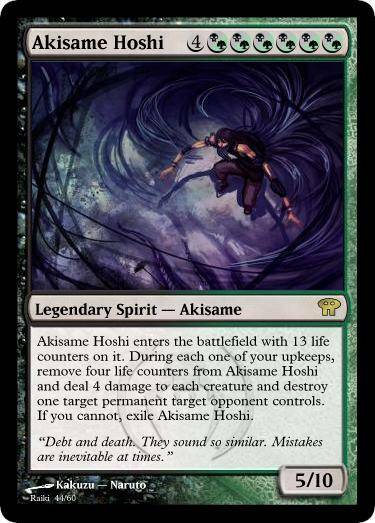 Akisame Hoshi, the All-Devouring Worldslayer, descends! 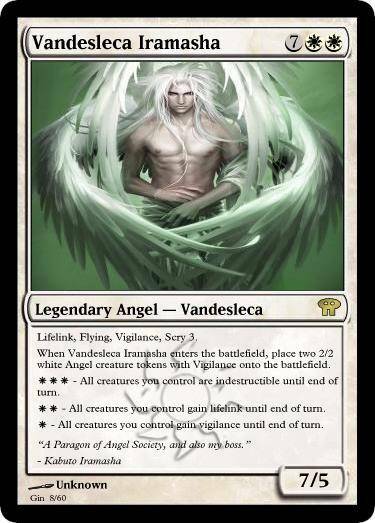 Vandesleca Iramasha, the Angelic Paragon, Ascends!